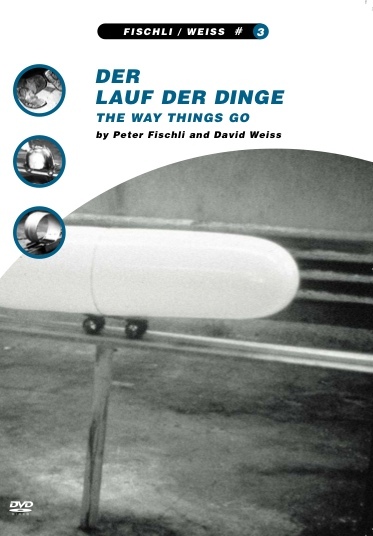 A film that seems to be able to entice us to watch again and again is the strangely wonderful ‘Der Lauf der Dinge’, (The Way Things Go) by the Swiss artist duo Peter Fischli and David Weiss. Being about “cause and effect” it documents a long chain assembled of everyday objects. 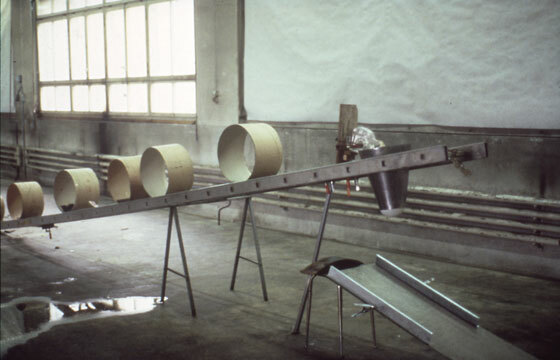 The machine itself is about 100 feet long built in a warehouse, and incorporates materials such as tyres, bin bags, ladders, soap, oil drums, and petrol. 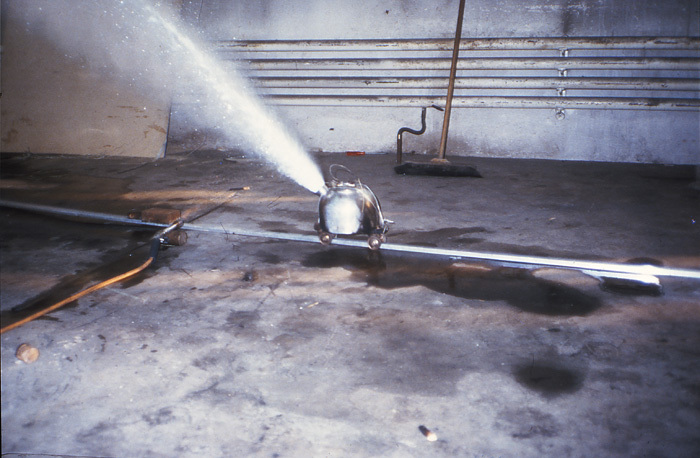 Fire and pyrotechnics are used as chemical triggers. We observe a chain reaction and a controlled happening based on the laws of physics and chemistry, that is about the inevitability and chance fundamental to precarious situations. The camera records the event taking its course over a half-hour process, – all documented with no edits we believe! We find this an extremely compelling and amusing experimental film where it is easy to appreciate the days of preparation necessary to make everything work properly and equally to imagine how many times things have gone wrong, much to the frustration and annoyance of Fischli & Weiss due to some tiny physical or chemical margin of error. We see this film as a testament to the resourcefulness of the artists by grabbing what is immediately at hand, and to their planning that went into making the project a success. Somehow the work transcends its humble origins and leads to somewhere else, somewhere new. So what conclusions we can derive from this film? As designers we see this as an excellent example of creative thinking, and is a potent illustration that brave ideas give successful solutions; – by taking time to gain experience, relax into the situation and working round the issues concerning the object, eventually the solutions will come. A reminder that ‘the solution is always in the problem’, – one of the oldest maxims of design that we can use as an enormous foundation stone to fall back on. Watch the original 29 minute film here of the faster version set to the William Tell Overture here.